Over the past few years, consumers in the West cut their spending on healthcare and governments reduced state support for medicine. Source: Getty Images / Fotobank. Much like any other industry, the pharmaceutical market has been affected by the global financial crisis. 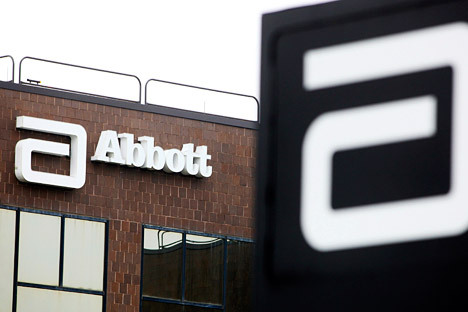 Dmitry Koptyubenko of RBC Daily spoke with Michael Warmuth, president of Abbott Established Pharmaceuticals Division how a recent market increase in developing countries helped his firm weather the downturn. RBC: Are changes in the market affecting your ability to conduct large M&A transactions? Michael Warmuth: We have no problems with the balance, rating, loan availability and financial flows. We are also active in buying other companies. Thus, we bought an Indian company, Piramal, in the sector of established pharmaceuticals. It made Abbott the leader in India, which has a fragmented market, but our share there is about 7 percent already. It was a narrowly targeted strategy of entering a rapidly developing market. The purchase of Solvay Pharmaceuticals in 2010 changed a lot for us, especially in Russia. We managed to add about 200 products to our portfolio. In general, we have a lot of options to increase the assets we possess now. We have about 500 products already, but we are always interested in various opportunities to buy and receive licenses at the global level. The key point is that the deal should make sense from the business development viewpoint. RBC: You have mentioned India and Russia. Have you got merger plans for other rapidly developing markets? M.W. : I don’t think I can name a country that would surprise you and you would not understand why it is interesting for us. We are interested in Russia, India, and China. RBC: What are your plans for China? M.W. : At present, the Abbott brand is mainly recognized in China as a baby food producer. Our positions in this sphere are strong; there are significant growth prospects, although these are also relative parameters as the market is very fragmented. I think the leading company covers 2.2 percent of the market in the country. China is, to some extent, similar to Russia in its intention to actively develop the healthcare system. China is also similar to India and Russia in the aspect that the market is not limited to the largest cities. When thinking about Russia, many people think about Moscow. And I keep on being amazed by your country’s size. I have been to Russia several times and I haven't seen the whole country. And it is not only me; even many Russians have never seen the whole country. We do our best to cover the whole country, not only key cities. The same is true for China and India. It should be noted that the population’s needs in different regions of a country often vary. We have already advanced well in China partially due to our experience in India. I mean the sphere of meeting the local people’s needs, not marketing projects or business process organization. RBC: What impact has the global crisis had on Abbott? M.W. : I think there is no a single industry or company in the world that escaped the crisis. A significant example: the strength of our company is determined by diversification of both the product line and the company’s geographic footprint. The crisis has affected some countries, for instance, in Western Europe: Greece and Spain are again talked about. We also faced problems in these markets. But our diversification, including our presence in India, Russia, Brazil and China, enables the company to minimize the crisis impact to a large extent and keep on growing. RBC: What do you think of Russia in this context? M.W. : This year I was at the St. Petersburg International Economic Forum for the first time. Famous people were listed there but it is rather difficult to surprise me with names. I was impressed by President Putin discussing the business environment. RBC: Do you mean it was interesting for the forum’s foreign participants to listen to him? M.W. : At least, I was interested. Following his speech, I understood that the state would be oriented at improvement of trade and relations not only with the United States but also other regions where Russia plays an important role. Russia requires more diversification and I discussed this issue at the forum’s Russia–India roundtable discussion. I met the officials from the U.S. Chamber of Commerce, which represents companies operating in Russia. And I can say that most of companies’ heads I met, together with the ambassador and other business representatives, admit that business environment in Russia is open for further investments. RBC: Putin spoke much about the corruption in Russia in his speech. Can you say that the corruption level in Russia is really high? M.W. : Public data from different organizations show that corruption and lack of business transparency are serious problems in Russia. RBC: And what do you personally think? M.W. : Being a U.S. company, we obey the Foreign Corrupt Practices Act and always operate within the law. Punishment for violating the law might be very severe and it might be even applied personally to managers of my level. RBC: There is a trend in Russia to tighten healthcare law enforcement. Do companies like yours benefit from it? M.W. : We welcome these changes. They help improve the product quality and solve the problem of counterfeit medicines in the market. I do not always support increasing legislative pressure, but if it is reasoned and balanced, it works for people’s sake. Concerning the Pharma–2020 initiative, it is precisely and correctly done. The government wants production localization to optimize expenditures: we are considering this issue. Innovations? Yes, through the production of new drug formulations and, of course, local investments in R&D. I am very inspired by the cooperation we have started with the ChemRar High-Tech Center. We will develop new convenient formulations of our products together. It will enable us to enhance patients’ compliance with therapies and decrease the drug load on the patients’ organism. RBC: Do you have any plans to cooperate with Skolkovo? M.W. : We had a very productive meeting with their leaders and discussed different cooperation variants. They told us what development possibilities are ahead of us and we will keep on studying them thoroughly. I don’t know yet what relations we shall have with them, but I was impressed by these people. I heard enough information from them to understand that I want to hear more. Margarita Parfenkova and Yevgeny Basmanov participated in the preparation of the interview. The article is available in the original Russian in RBC Daily.